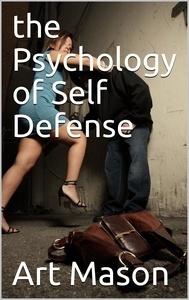 Understanding the Psychology of Self Defense. If you were attacked on the way home tonight how would you do? What would you do? When it comes to self defense there is never a guarantee of outcome. However there are reasons, deeply embedded reasons in the brain why some people are successful and others are not. Now I will be exploring these reasons, and how changes can be made to increase the odds in the favor of the attack victim. Over my 30 years of teaching martial arts and self defense I have seen literally thousands of people. Often times when you meet them you can predict their success levels in not only martial arts but how they would fair in an attack. So much of it, perhaps as high as 90% is psychological. So what is it then that causes success or failure? There is a part of the human brain that determines how we react or respond to every situation in life. It’s programming decides if you are successful in self defense or any other aspect of life. It is influenced and acts upon your habitual thoughts, including the ones you don’t know you think, as well as your self image, the real self image not the one some people pretend to be. So once again I am going to put my fingers to the keyboard and write a NON Kyusho Jitsu book on the Psychology of Self Defense. How to reprogram yourself, and help those you teach to be successful in not just a self defense situation, but life in general.